Skye Gravestones | Donald & Mary Matheson. Flora & Angus Macleod. Donald & Mary Matheson. Flora & Angus Macleod. 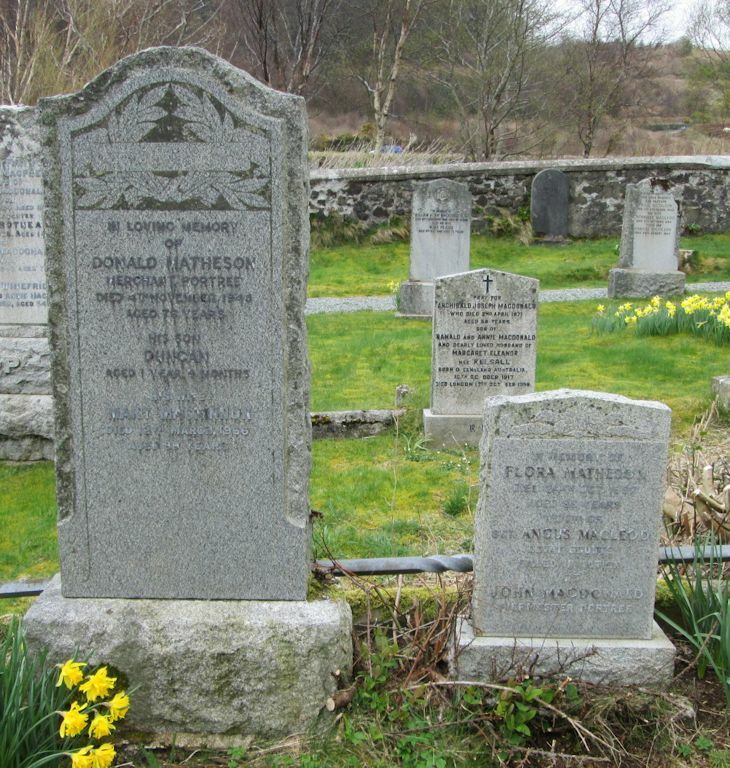 In loving memory of/DONALD MATHESON/merchant, Portree/died 4th November 1948/aged 76 years/his son/DUNCAN/aged 1 year 4 months/his wife/MARY MACKINTOSH/died 12th March 1966/aged 89 years. In memory of/FLORA MATHESON/died 24th Oct. 1967/aged 86 years/widow of/Sgt. ANGUS MACLEOD/Lovat Scout/killed in action/and JOHN MACDONALD/piermaster, Portree.